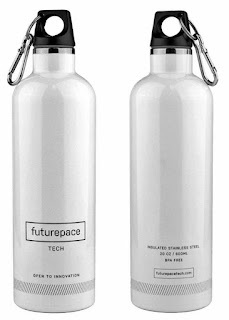 Futurepace Tech is a Lifestyle Products company committed to innovation, sustainability, making shopping simple and delighting their style savvy customers. 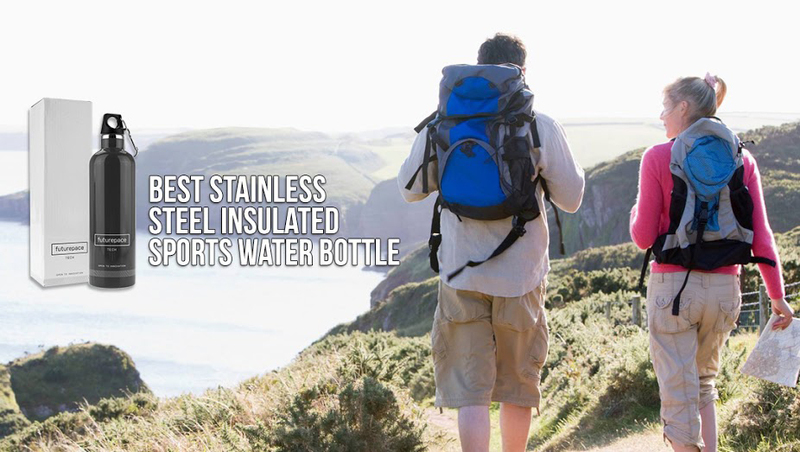 They strive to provide premium products to support their clients’ healthy outdoor lifestyles. Everyone wants to live a healthy lifestyle right. Well, one step to better health is to keep yourself well-hydrated. It is critical for your heart health. Hydration isn’t just important during physical activity. Just sitting in the sun on a hot or humid day, even if you aren’t exercising, can also cause your body to need more fluids. 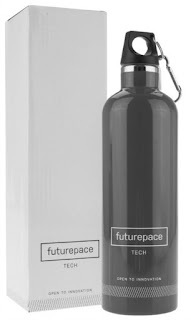 The Futurepace Tech ‘Hydrate on the Go’ insulated bottle will keep your liquid either super-hot or super-cold. It will help you save both money and the environment by keeping plastic out of our landfills. Oma loves that the Stainless Steel Water Bottle is really durable and rust proof. The top screws in securely and comes with a handy clip. I also appreciate the company’s 100% money back guarantee. - pollute us and the planet? 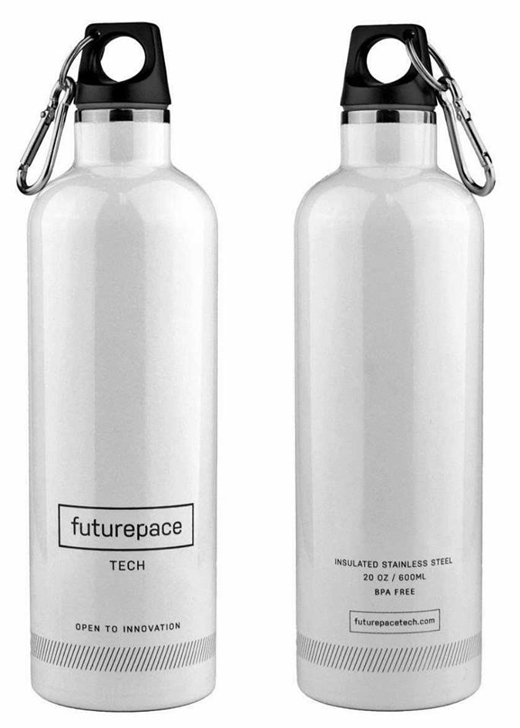 Your reusable water bottle uses top quality 18/8 Stainless Steel for inner and outer walls guaranteeing tough, durable, rust proof, sustainable and no metallic taste and stops plastic in oceans/landfill. For Cool, Style... Gloss coated charcoal - designer white print. We know you will love it yourself and want to gift it to family/friends so we have packaged it in a stylish white box for any occasion. 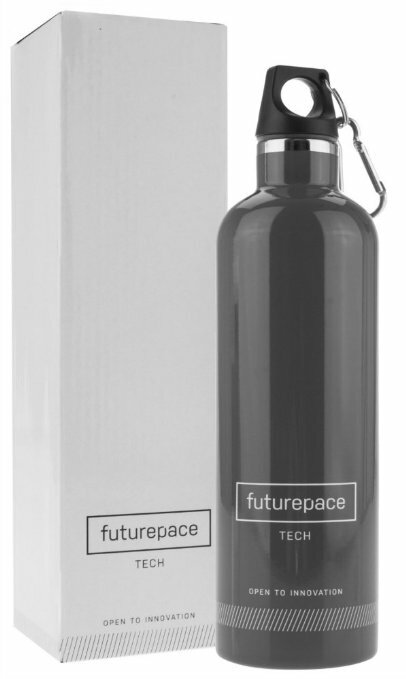 We take pride in our Stainless Steel Water Bottle; we use it and love it. We choose Amazon FBA so our valued customers have a simple, risk free buying experience and a full 100% money back guarantee. after sales follow up and commitment to Customer Care.